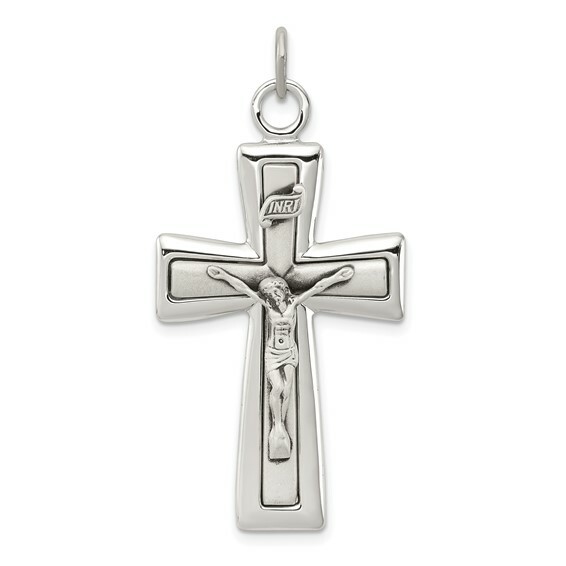 Solid sterling silver INRI crucifix pendant has a tapered shape and antique finish. Dimensions: 1 1/2in x 7/8in. Weighs 6.19 grams. Die struck. Fits up to a 3mm wide chain. Made in the USA.